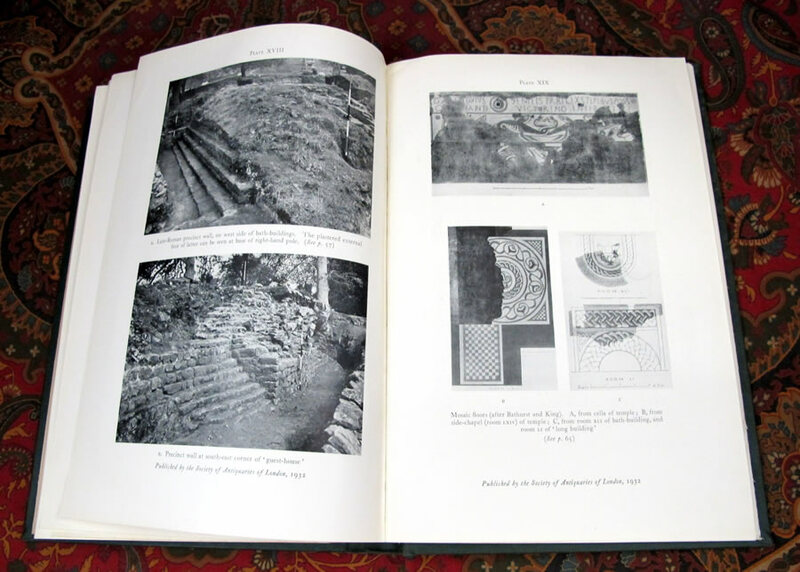 Excavations at Lydney Park Gloucestershire, by R.E.M. Wheeler and T.V. Wheeler. 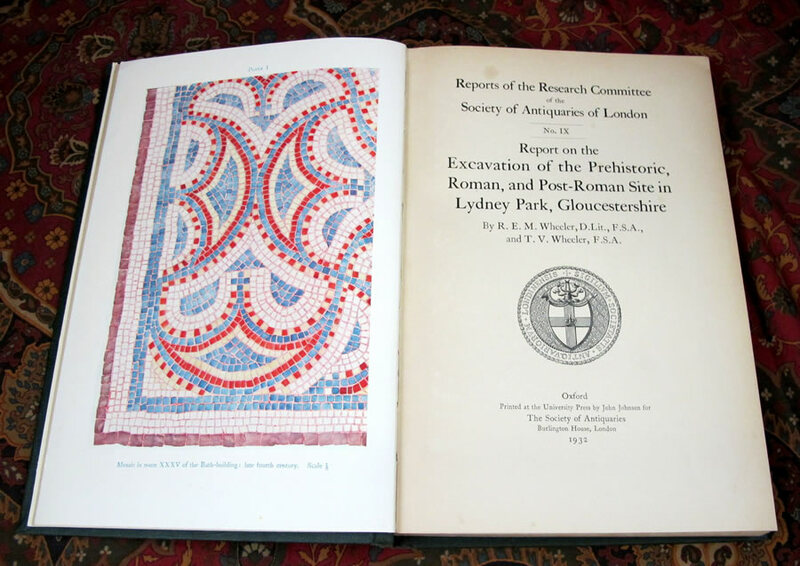 Reports of the Research Committee of the Society of Antiquaries of London. No. 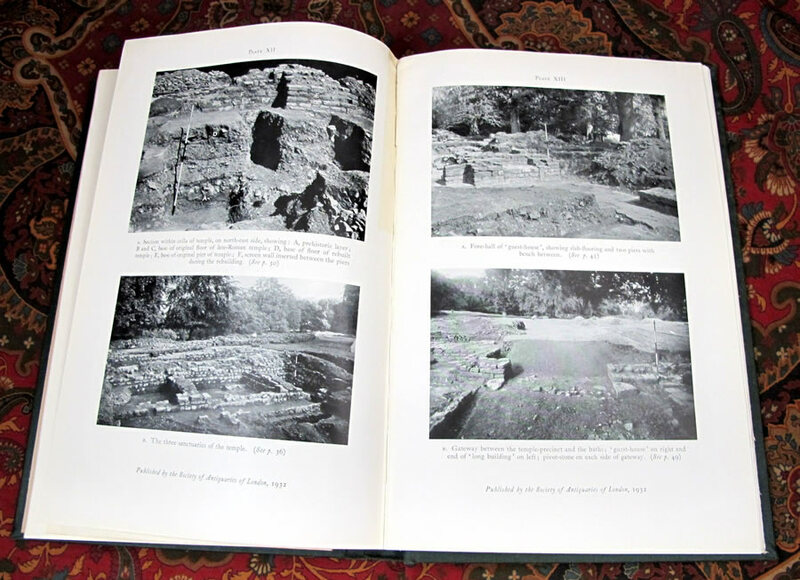 IX., Report on the Excavation of the Prehistoric, Roman, and Post-Roman Site in Lydney Park, Gloucestershire. 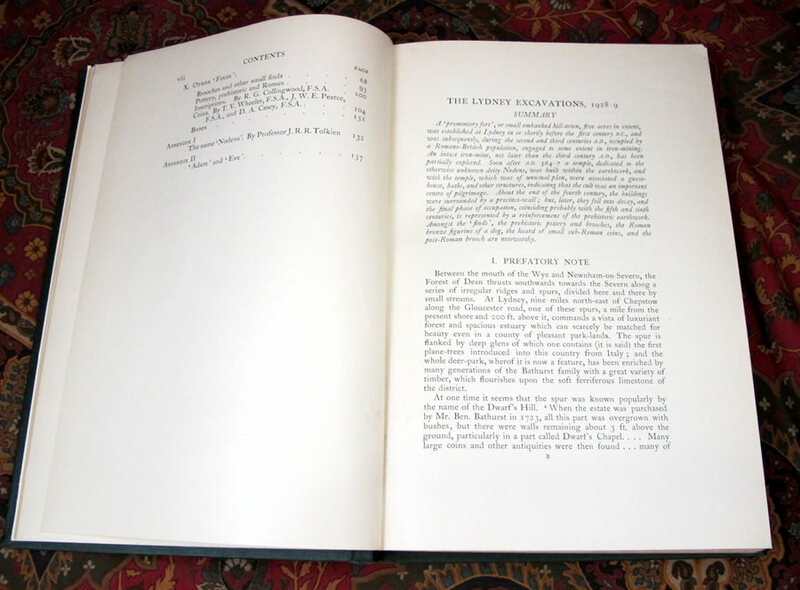 Published by the Oxford University Press for The Society of Antiquaries in 1932. 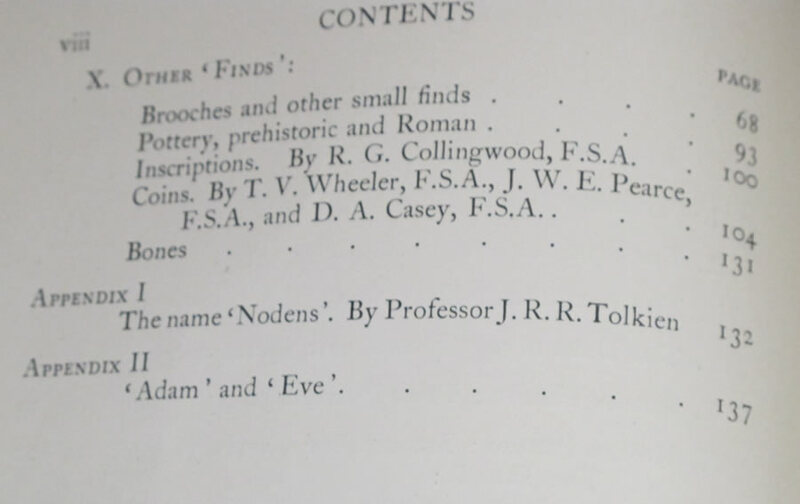 Appendix I., contains the early philological essay by Tolkien 'On the Name Nodens'. by Professor J.R.R. Tolkien. 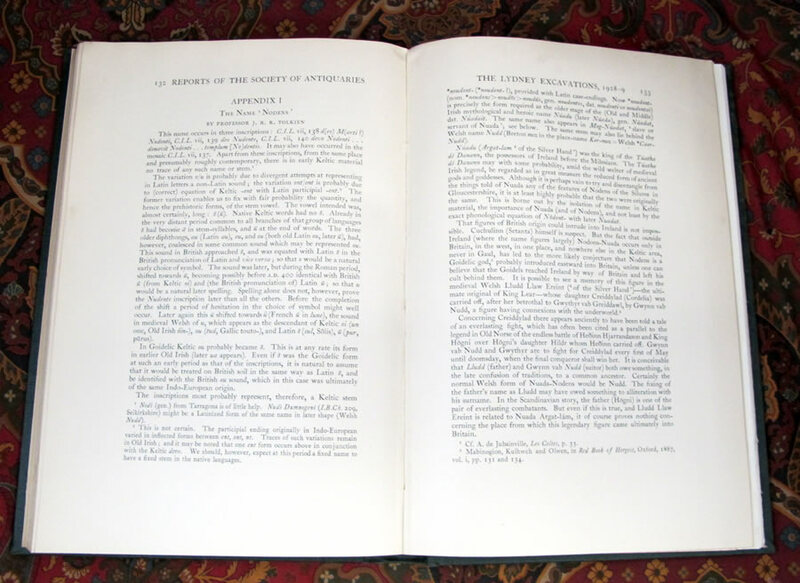 This copy has been rebound at an early date in full green cloth with titles in silver to spine. 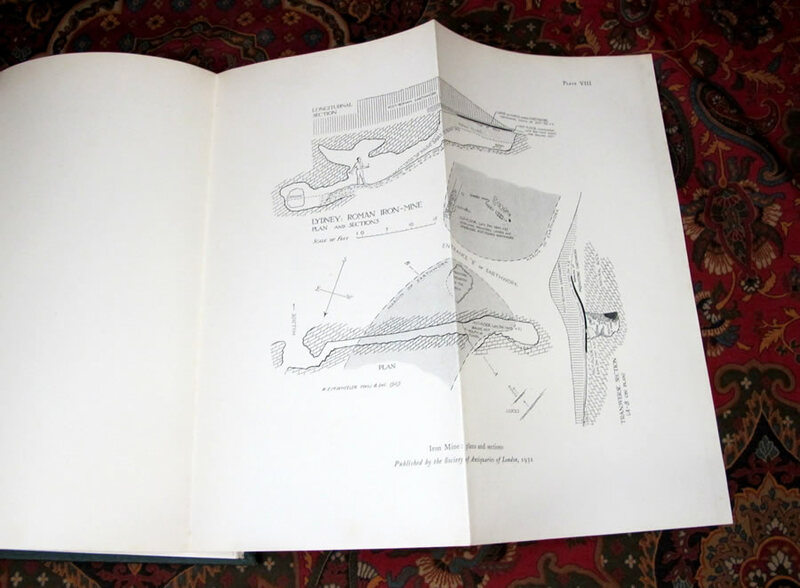 Color frontispiece, title, iv-vii, 137, , 52 page section of plates printed rectos only - including some folding and maps. No previous names or writing noted, with the binding tight and square, previous owner's bookplate to front endpaper. 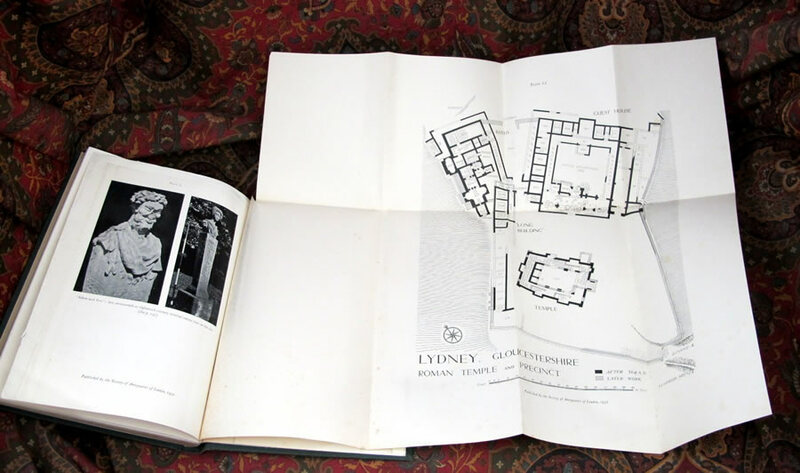 A wonderful copy of this book, showing some of Tolkien earliest published work.